A simple and modern 15-page complete personal planner with chic cover for a busy teen to organize her life! 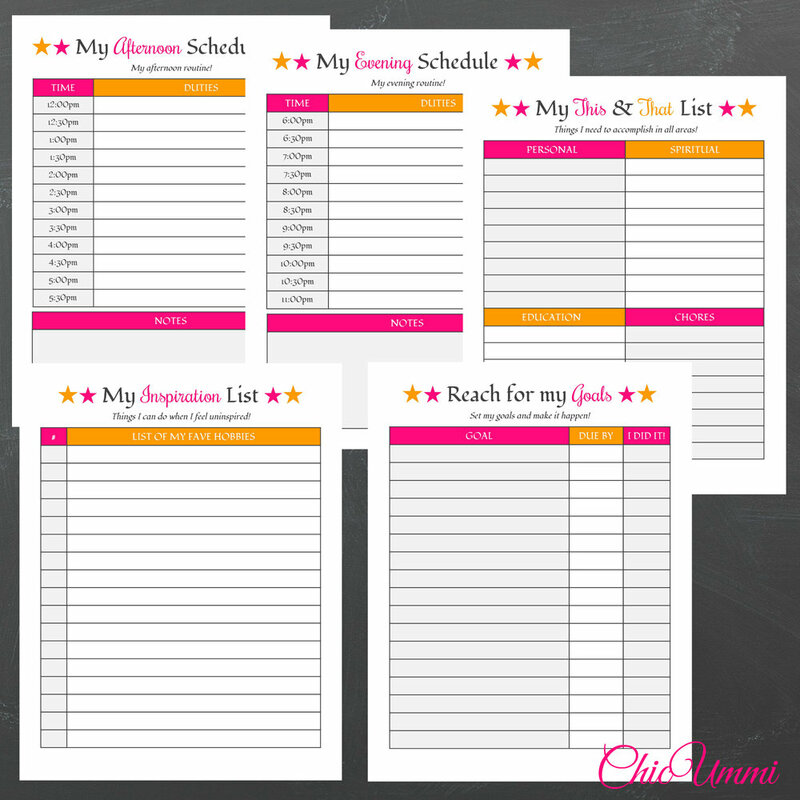 Get her out of the rut and beat procrastination with this colorful and funky teen planner to help a young girl plan, organize and improve herself. Designed with the chic and organized teen in mind. This is a digital product, so you can download it immediately and print the pages over and over again as you need. Makes a great gift for your daughter or a special young girl in your life! Purchase your Teen Planner HERE!